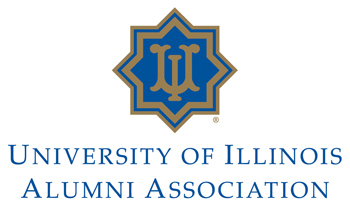 The University of Illinois Alumni Association is one of the largest in the nation, with more than 700,000 members, including nearly 400,000 in the state of Illinois. It has served the University in a self-governing capacity for over 140 years. We, as temporary stewards of this venerable organization, write to express our support for recent efforts of the University, and of the Urbana-Champaign campus in particular, to promote civility and inclusiveness in our University community. Recently, a small number of students were unhappy that classes were not cancelled during one of the many particularly cold days on the Urbana campus this year. Regrettably, and remarkably, they responded through social media by posting ethnically insensitive and sexist comments about Chancellor Phyllis Wise, comments that were wholly out of step with the traditions of the University of Illinois. In the wake of those offensive and inappropriate comments, our University community broadly united in support of civility and inclusiveness. Notably, University President Bob Easter and Board of Trustees Chairman Chris Kennedy issued a powerful public statement on the subject. Student leaders also broadly and quickly spoke in support of our shared values of decency, inclusiveness and sensitivity to others. At the request of Inside Higher Education, Chancellor Wise, herself, wrote a thoughtful commentary focusing on the bigger issues and shared it with the campus community. A campus-wide forum was held last week during which these important topics were discussed at length. One of the roles of the Alumni Association is to remind members of the University community of our many fine traditions, and our history, at the University of Illinois. In that regard, it is important to know that one of the proudest chapters in the history of our great University was its pioneering steps taken to welcome and include students with disabilities during the 1940s, long before disabilities awareness was the norm. That inclusiveness led many individuals, including a large number of WWII veterans, to come to our University, and in particular to the Urbana campus. Those students were trailblazers, and in their wake, generations of others have come, making our University a better place and carrying the University of Illinois banner to great heights as alumni. As one of the most decorated wheelchair racers in American history, Jean Driscoll, continues to inspire thousands world-wide, including helping those with disabilities in West Africa reclaim their dignity and independence. Jean is just one example of how our University community has been deeply enriched through its inclusiveness and diversity. Countless others abound. The First Amendment is a bedrock of this country, and it allows people to say many things -- wise and improvident alike. The foundational idea behind it is that an informed and educated citizenry, exposed to a free discourse of ideas, will usually discern the wise and true from the base and erroneous. While recent events may have begun with offensive and hurtful statements, the good news is that the overwhelming response from our University community was one of inclusiveness and civility, consistent with the history and traditions of our institution. We, as leaders of the Alumni Association, join the chorus of voices in our University community in support of inclusivity and civility as the standard for everyone associated with the University of Illinois.